MC: What do you have in your pocket when you’re standing on the bow of a skiff? MC: Why do you fish for world records? 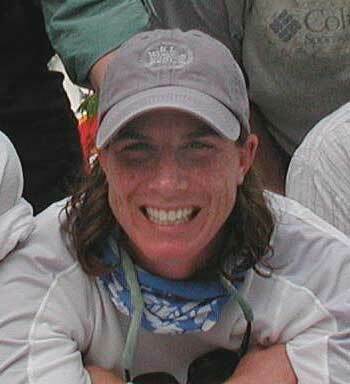 MC: Besides the Hawley, you’ve also won the Women’s World Invitational Tarpon Fly Tournament 4 of the past 6 years. And you’ve placed highly in many others usually dominated by men. Do you ever think of yourself as “carrying the torch” for women, kind of a Danica Patrick of fly fishing? MC: We understand you like to trout fish as well. MC: OK, on to fishing. Do you ascribe to Andy Mill’s techniques for hooking difficult fish: 14-16 ft. leaders and casting 30 to 40 feet in front of the fish? MC: Do you think there’s a big difference between fluoro and mono? MC: What do you use for tippet material? MC: How do you like to construct your leaders? 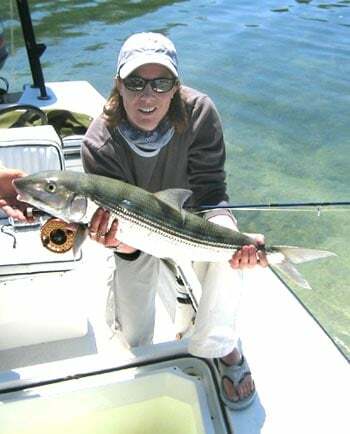 MC: Sounds like laid-up tarpon fishing is one of your favorites. MC: Do you have any favorite fly patterns? MC: Any tips on fighting and landing big fish on light tippets? MC: Describe an ideal day of fishing. MC: What’s your most memorable fish?